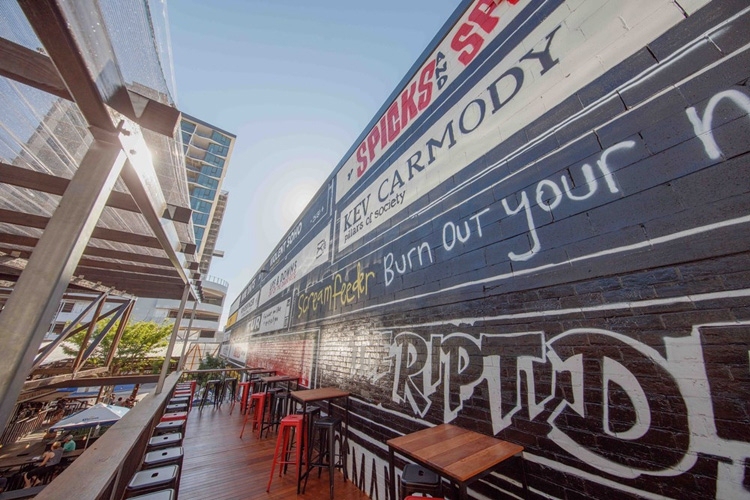 There’s one empty spot remaining on The Triffid’s famous Queensland band wall and we would like to fill it with a new QLD artist that has released a great album over the past 12 months. The Triffid have nominated 5 albums and it’s up to you to decide which one deserves to be immortalised on our wall. The winner will be announced on The Triffid’s 2nd Birthday (November 5th) alongside a special event that will see the winners album spine painted on our wall. All voters go in the draw to win a “Triffid Green Pass +1” which grants one lucky punter and a friend unlimited entry to Triffid shows (excluding charity events) in 2017. So vote away and while we respect your choice we would hope you might be able to give halfway the nob they deserve. Halfway have a new clip for their latest single 3 In And Nothing But The Stars. Finally, tickets are selling fast for this weekends event at The Triffid 29/10 where Halfway will pay their first album FAREWELL TO THE FAINTHEARTED and their latest album THE GOLDEN HALFWAY RECORD in their entirety, plus if that’s not enough, the band is throwing in a free live CD of their gig at The Triffid early 2015 with the entry costs (not available anywhere else). Not a bad night out when you think about, Special Guest on the night is Luke Daniel Peacock and his band: this year’s Billy Thorpe Scholarship winner, Halfway keyboardist and all round good guy.